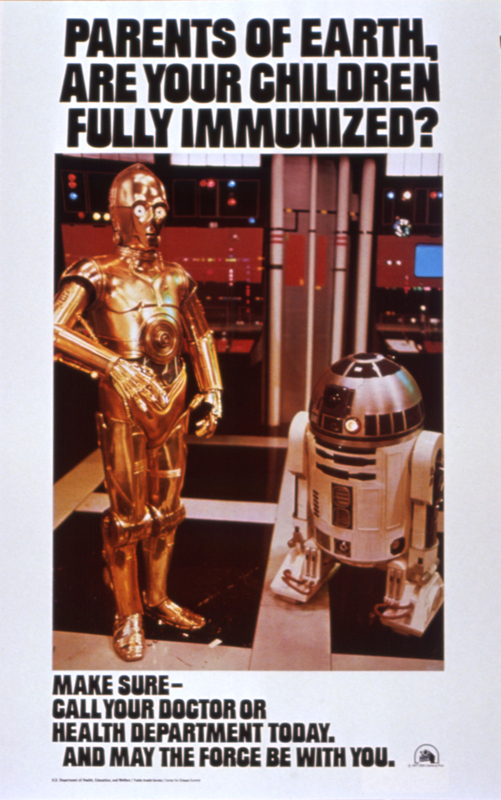 This poster from the Department of Health, Education, and Welfare and the Centers for Disease Control appeals directly to parents by speaking through the characters of the popular film Star Wars. These widely recognizable figures from popular culture are particularly suitable for promoting immunization because they are familiar to both parents and children, and as a result they are likely to capture the interest of many viewers. By combining image and textual message, the poster gently but effectively recommends that children be fully immunized.